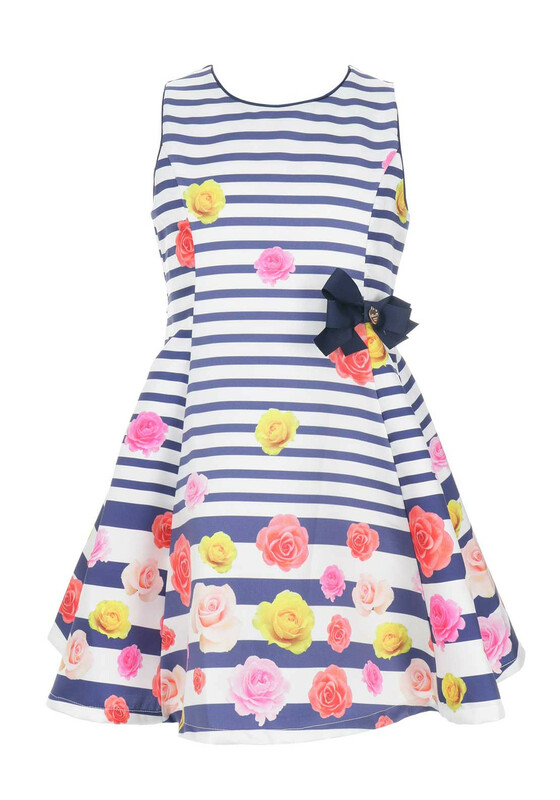 Alice Pi present this stunning A-line dress which is a stunning special occasion choice for your little princess. 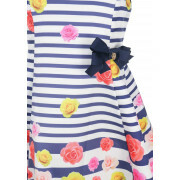 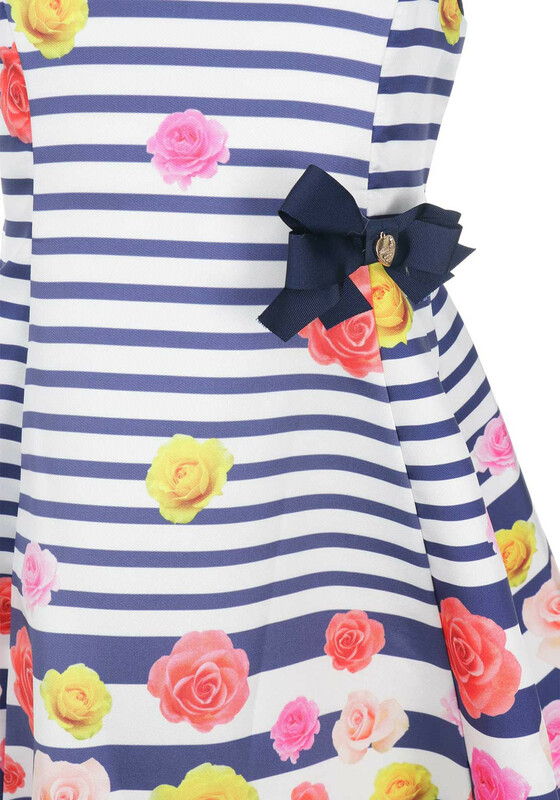 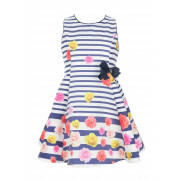 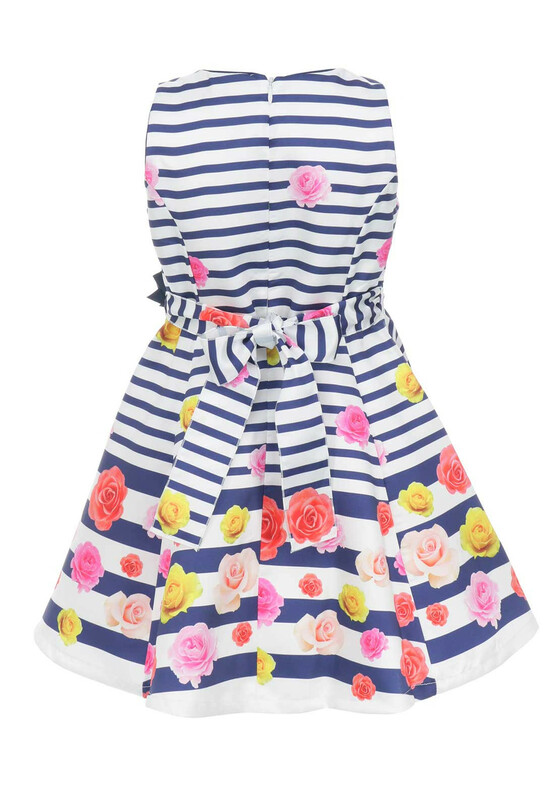 In a navy and white striped print, it features a colourful rose print and is set with a branded heart charm on the ribbon waist bow. 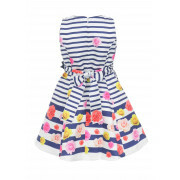 It also features a concealed zip and a rear bow fastening for a gorgeous finish.